(April 24, 2013– Los Angeles, CA) – Lakeshore Records will release the Americana: Original Music From the Film Wish You Were Here digitally April 30, 2013. Jordan Shapiro composed the original score. Jordan Shapiro has played one instrument or another for as long as he can remember. With a long list of musical accomplishments including live and session work, producing/recording records for a wide range of artists and churning out his own “Organic meets New Technology” brand of music for consumption by various Television/Film production companies and Artists, Jordan has been keeping himself busy in his own studio, humbly dubbed ”Average White Guy Studios” in Echo Park, CA. Good Company Entertainment presents Wish You Were Here, available on iTunes now. 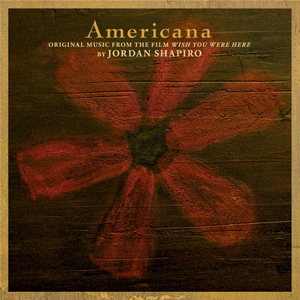 The Americana: Original Music From The Film Wish You Were Here by Jordan Shapiro will be available digitally on April 30, 2013.